You don’t want to be the victim of an unexpected power surge that leaves you without your RVs electric, or worse, fries your wiring! That’s why we recommend to all of our customers that they invest in one of the many RV surge protectors available at Folsom Lake RV Center. Check out our four top RV surge protectors in this RV tips highlight. 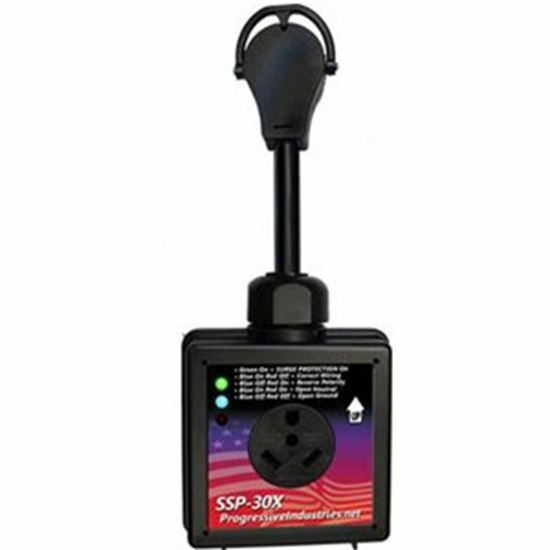 We highly recommend the Progressive Industries 30A or 50A portable surge protectors w/ LED indicators (SSP-30X 06-5728 & SSP-50X 06-5730). 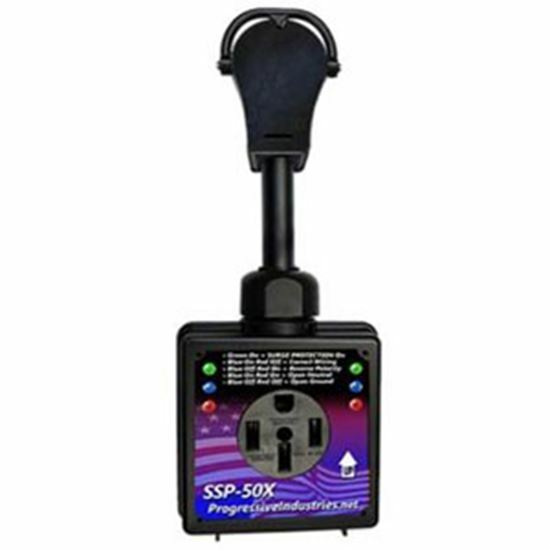 These surge protectors are fully portable, come with weather-resistant cases, and feature three-color LED indicators so that you can monitor your the polarity, open ground, and the lost and open neutral status. These models also feature faulty indicator lights to alert you if it is not functioning properly and are compact and easy to hook up and use. These are a great solution if you’re are a first time RV buyer and just looking for a little extra assurance on the road. Another great option, especially for more seasoned campers who spend lots of time on the road and want to protect their RV from damage, is the Progressive Industries 30A/120V & 50A/240V hardwire surge protectors (EMS-LCHW30 19-0470 & EMS-LCHW50 19-0471). These surge protectors are designed to protect you while you are hooked up to AC power supplies. These types of hookups can sometimes lead to harmful spikes or drop in voltage that can have a lasting, damaging effect on your RV’s electrical system. These hardwire surge protectors are rigged to automatically disconnect when level hit 132 volts or drop to 104 volts, and they will automatically reconnect once the levels have stabilized again. Now, you can have the peace of mind that you crave when you set up for a long, relaxing vacation at your favorite campground.. Whether you’re new to RVing or a veteran, you won’t regret investing in a surge protector for your next camping trip so that you can focus on doing what you love, instead of worrying about the damage an unreliable hookup may be doing to your RV. 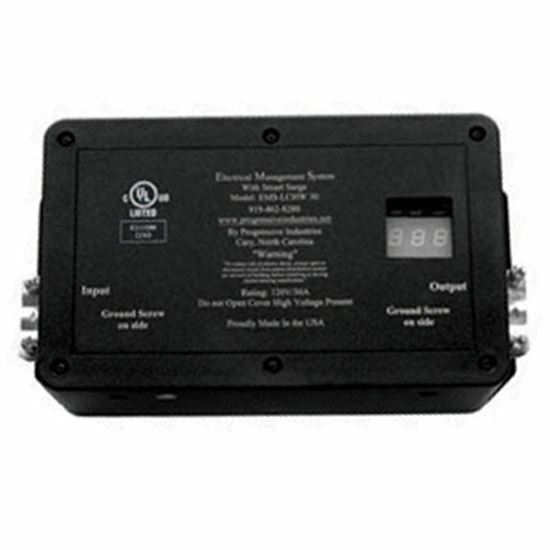 It’s time to get some peace of mind, so contact us today for more information on RV surge protectors. You can even browse our available fifth wheels, travel trailers, and motorhomes for sale right now and see if you are ready for an upgrade!